IMPORTANT NEWS - the rise of IoT and Industry 4.0 standard has led to a surge in interest in the use of wireless sensors. However, before you rush out to buy and install such sensors do read through this write up Getting to the Reality of Wireless Devices here. If you are interested to read more about EN300328 V1.8.1 click here. 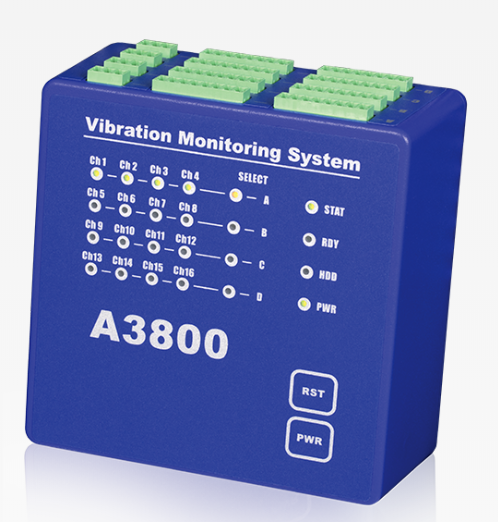 IoT Vibration Monitoring - Looking for vibration sensors to use with your IoT system? Email us your requirements. Wilcoxon 731A - Looking for a high sensitivity accelerometer to study ground vibration? The Wilcoxon 731A offers clear signals at low vibration levels with low-pass filtering to eliminate high frequencies. Download the brochure here. High Temperature Sensors - Wilcoxon’s new HT series, the next generation of our signature FireFet sensors, provides superior long-lasting performance in 150°C environments. Read more here. 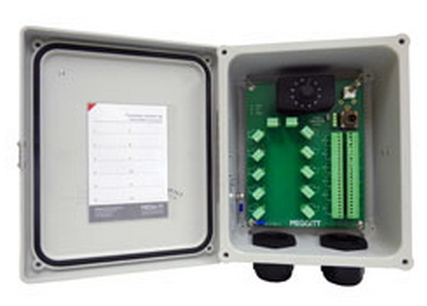 Adash A3800 - Adash A3800 - is a compact size on-line monitoring system that can be mounted directly on DIN rail. Comes in 4, 8, 12 and 16 channels. More information here. The HS-100S accelerometer series - now offers a PUR / Silicon cable solution with removable conduit, enhancing the existing range. With an operating temperature range of -50ºC to 140ºC and sealed to IP68. This side entry accelerometer allows for a simple install with easy access for scheduled downtime. Suitable applications include the Paper industry and Offshore. Click here to go to the Hansford page for side entry 100 mV/g accelerometers. 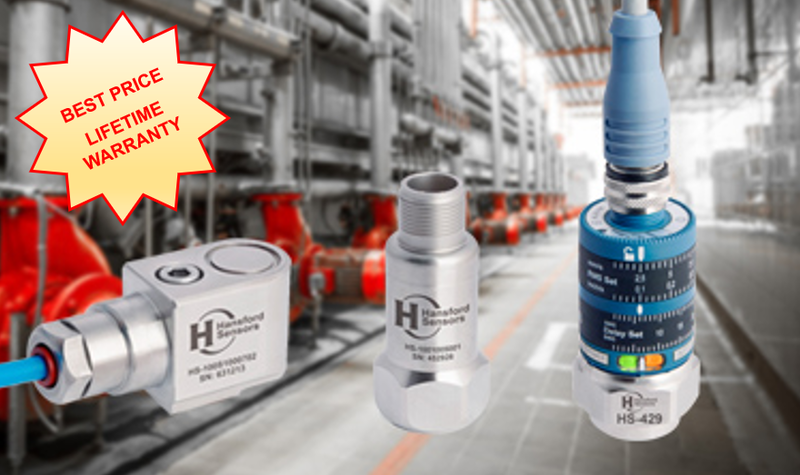 Hansford introduces the next generation sensors – HS-180 Series - The new HS-180S is 35% lighter than the HS-170S series and is part of a unique range of industrial shear accelerometers. This mini compact series enables installation in areas with limited access. 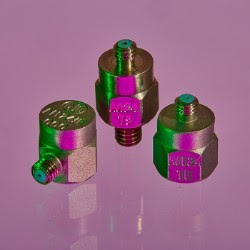 This sensor can withstand temperatures up to 150ºC and is available with 2 Pin MS and M12 connector. 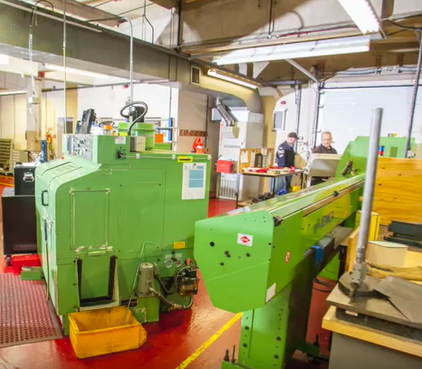 Suitable for applications such as Robot arms, machine tool spindles, conveyor belts and custom machines that require monitoring equipment in areas of limited access. Click here for more information. Hansford introduces new Cable Assemblies Guide - no more cable confusion. When it comes to specifying which cable assembly to order you can use the new comprehensive Cable Assemblies Product Guide here. Hansford Introduced Triaxial Accelerometer with Integral Temperature - the HS-173RT triaxial accelerometer for condition monitoring on pumps, fans, motors etc with integral temperature sensors for online systems. With the current trend focusing on triaxial sensors, and with the modern-day data collector being able to accommodate three channels simultaneously, the demand for additional options has driven the need to incorporate additional models into this family. Which now includes an IP68 integral cable and the integral temperature sensor HS-173RT. The HS-173RT comes with features including three AC and PT100 Temperature Output, fast settling times 1 sec, compact and sealed to IP67. Download the brochure here. DJB has launched the tapped base version of their popular miniature triaxial accelerometers for the models AT/10 (IEPE) and AT/01 (charge type). DJB has released the Miniature A/124 IEPE Accelerometer with Konic Shear® design. This miniature accelerometer is designed for high temperature hostile environments. DJB is pleased to announce the addition of two new IEPE impact hammers into it’s range of general purpose hammers used for structural and Modal testing. 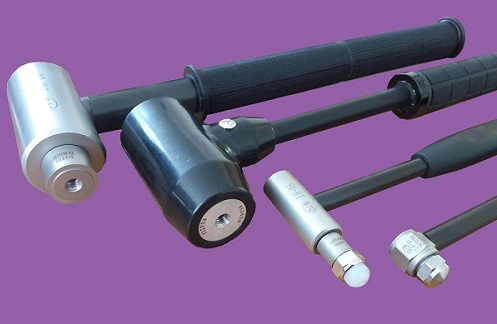 Each hammer is supplied as a kit including a cable and a variety of tips able to suit a variety of testing requirements. DJB has released the new A/140 range of low cost single axis 100mV/g IEPE accelerometer which is built on the unique DJB developed Konic Shear® technology. The combination of low cost and Konic Shear® means significant improvements in cross axis control without any cost penalty, providing a step up from compression and shear plate designs used by other brands. The A/140 range is sealed to IP67 and manufactured in corrosion resistant stainless steel for use in harsh environments. At only 80grams, it is typically 25% lighter and has a low noise floor. With a range of cabling solutions also available, it offers unrivalled performance at a low price point. More information on the A/140 range here. We are partnering up with a manufacturer to offer customers a wider range of test and measurement solutions. Watch this space. Turn a Charge Accelerometer into an IEPE Accelerometer!! The DJB QV/04 is suited to most applications involving piezoelectric sensors requiring long cables. Weighing in at just 20grams and only 18mm in length, the QV/04 is able to work up to 185°C with microdot to microdot connections. The QV/04 is one of a family of inline signal conditioners (more information here). If you have a challenging application get in touch to see how we can help, we'd love to get involved. Do you want to measure 4 AC (vibrations) channels and 4 DC (process values) channels synchronously? Yes, with A4400 VA4 Pro II you can do that and you don't even need any input adapter! 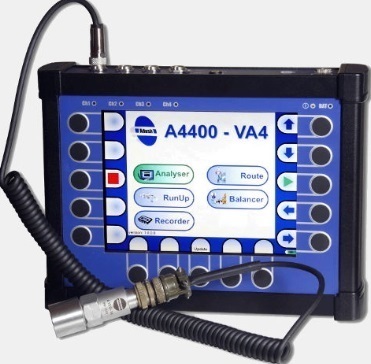 The A4400 VA4 Pro II is a unique analyzer for machinery vibration diagnostics which will fulfill all your vibration diagnostics needs. Visit this page for more information. We have been the proud distributor of Balmac vibration meters (made in USA) for more than two decades. Contact us today at s a l e s @ v i b r a t i o n . c o m . s g for your best pricing. 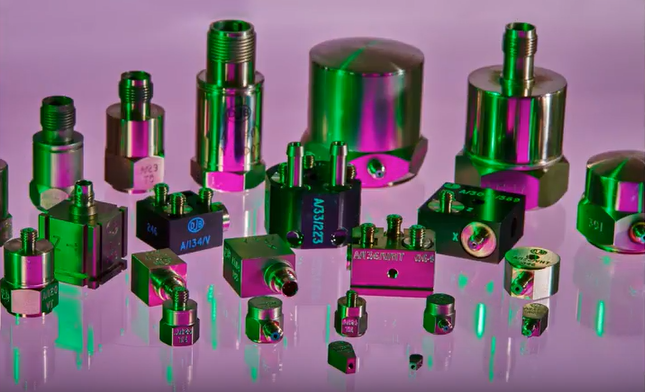 Looking for low cost but reliable accelerometers for your project? DJB Instruments has released a range of MEMS DC Response Accelerometers for single axis, bi-axis and triaxial measurement. More information to come. 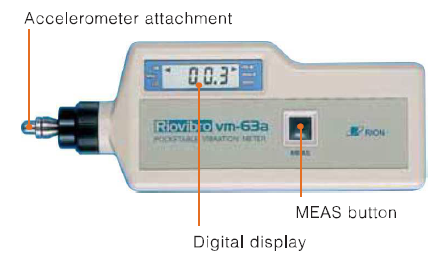 a) Rion VM-63A vibration meter - visit the page here. Contact us here for pricing. DJB will be introducting new wireless sensors in 2017. The DJB sensor will be miniature in size (using proven DJB technology), high sensitivity, wide measurement range (up to 5000g, frequency range 0.5 to 8000Hz) and enabled with Bluetooth Low Energy for wireless transmission. The wireless sensor will be easy to use for the operator with functions for initiating and terminating the transfer, connectivity check and basic diagnosis on board, in addition to an alarm system for any connection loss. DJB's wireless sensor will have low power consumption. 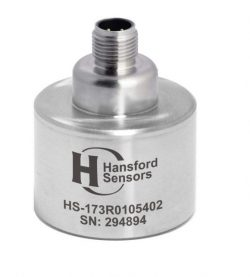 Hansford Sensors has released a new high performance triaxial vibration sensor, HS-173R, which iscapable of providing simultaneous measurement in three axes. It has been developed specifically for use with the latest generation of route-based and stand-alone data collectors, which increasingly require multichannel inputs from a range of permanently or temporarily mounted sensors. The HS-173R has an AC output via a standard M12 connector, is sealed to IP67 and can be used in wide range of applications within an operating temperature range from -55°C to +130°C. The new HS-173R accelerometer is available with a choice of options, including a range of operating sensitivities from 10mV/g to 500 mV/g, different mounting threads and an aluminium rather than stainless steel enclosure. Click here for the brochure. The new DJB AF/50/5 and AF/100/10 IEPE Impedance heads integrates an IEPE accelerometer and force sensor into one device to measure dynamic acceleration and force simultaneously. Have you ever wished for a stroboscopes that is portable and easier to use? If you have, your wish has just come true. 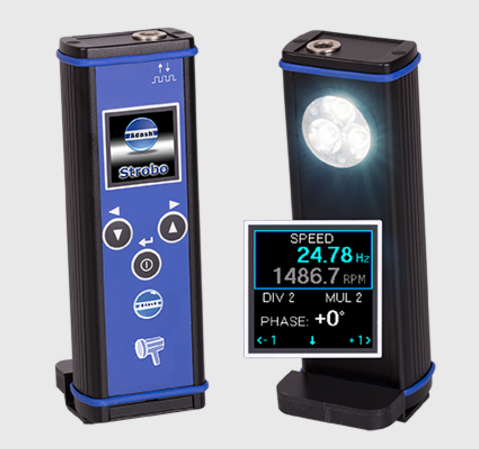 Introducing the new Adash A4950 Handheld LED Stroboscope that can cater for a wide range of machinery maintenance applications. More information on this page. Looking for customized cables for your vibration testing but having a problem with manufacturers who won't entertain your request much less listen to you? Write to us via email if you do need customized cables to do your vibration testing. Case study - we worked with our principal DJB to design and manufacture a new cable for our customer to perform testing under high pressure in a 100 meter watery environment. The cable was used with a DJB triaxial accelerometer. The constraint faced by the customer was that there was limited space to install the cables and accelerometer to enable the data acquisition system to collect the data. DJB was able to meet the tight schedule required and the subsequent testing was successfully carried out. Balmac's beloved range of analog vibration meter Model 211, 211M, 211-S-100 and 211-SM-100 will soon be phased out. If you are a fan of these analog models and want to continue using them do consider buying them now to keep as limited units can be ordered until stocks run out. More info on the 211 / 211M range here and 211-S-100 / 211-SM-100 range here. The new DJB QV/04 in-line signal conditioner joins the QV/02 and will replace the outgoing QV/01. More information can be gotten from this datasheet here. 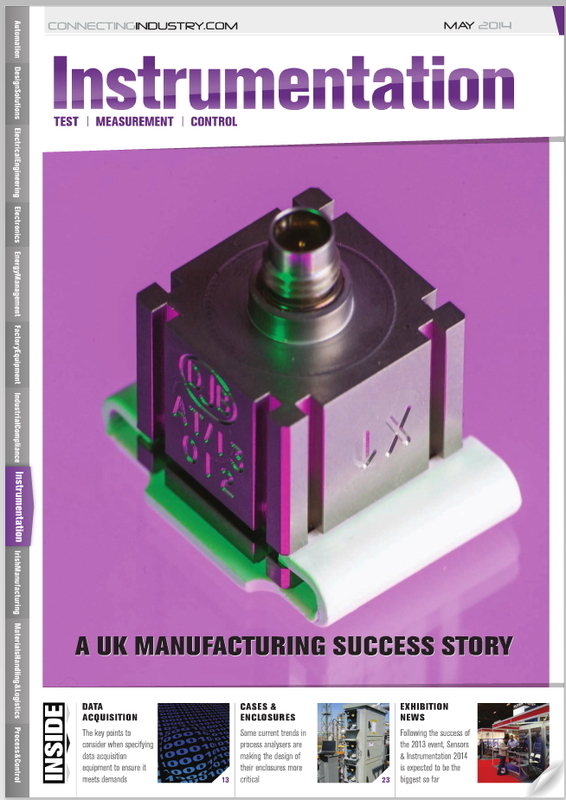 Other news - we are continuing to revamp our page for Hansford Sensors here. 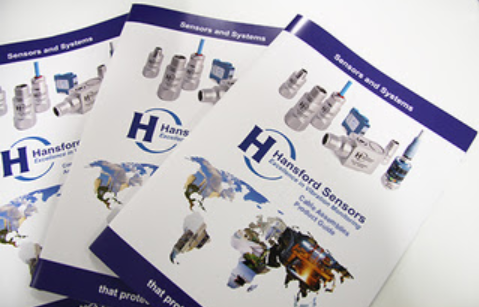 For an introduction to Hansford sensors watch the video here. Vibration Sensors - Our year end promotion focuses on Hansford Sensors which is a British manufacturer of a wide range of high performance industrial accelerometers, vibration transmitters (loop powered sensors), cable assemblies, industrial enclosures and ancillary equipment. Check out the range offered on the Hansford page here. 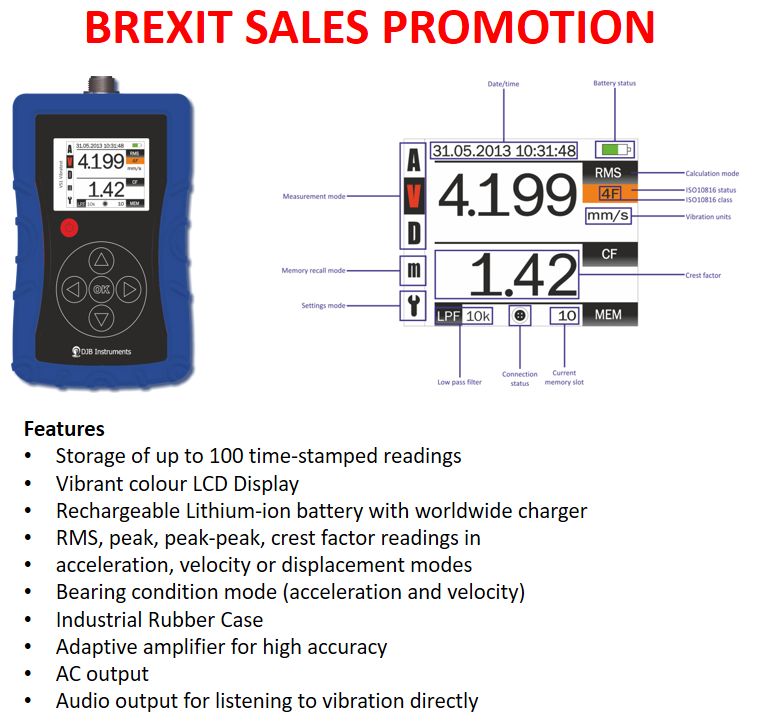 Vibration Meter - With the £ at an all time low there is never a better time to buy British than now. 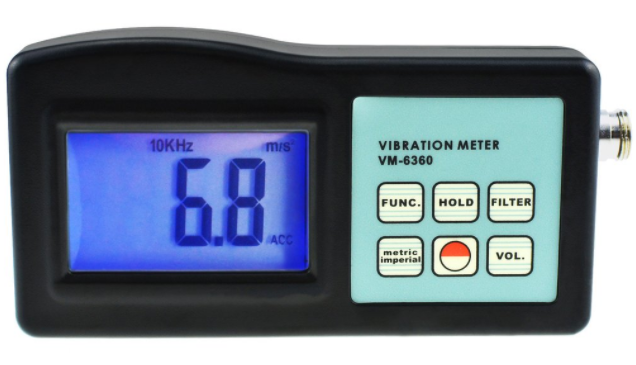 If you are looking for a vibration meter that is low in cost but of a quality better than made in China you could consider the VS1 Vibration Meter from DJB, a British manufacturer with a history of over 40 years in the manufacturing of vibration products. Download the brochure here. For quotation please email us at this email. Test & Measurement - Are you unable to find a specific vibration sensor to meet your test & measurement requirements from general models on the market? We offer bespoke (customized) sensor and cable products from DJB, a company that was established originally in 1974. Email us your test specifications and we will look into it for you. Replacement Brand - are you looking to replace your test & measurement sensors? Would you be interested to replace them with an equivalent that is equally good, if not better than what you have? Contact us for more information. The DJB brand of test & measurement sensors are used by world class companies such as Jaguar, TATA, BAE Systems, Citroen, BMW, KIA, Airbus, Samsung, Bentley, Cummins, GE, Thales, Lockheed Martin and many more. Contact us at this email for a general catalog. When you buy a vibration meter are you just buying another box or a tool that can really help you achieve your condition monitoring objectives? Don't you wish that you can have a truly portable vibration meter that has an in-built program that can tell you what are the mechanical faults that your machine is having on the spot? Well, now you can with the use of FASIT (Fault Source Identification and Diagnostics), an expert program that resides on the Vibrio range of vibration meters. Find out more about Vibrio here. 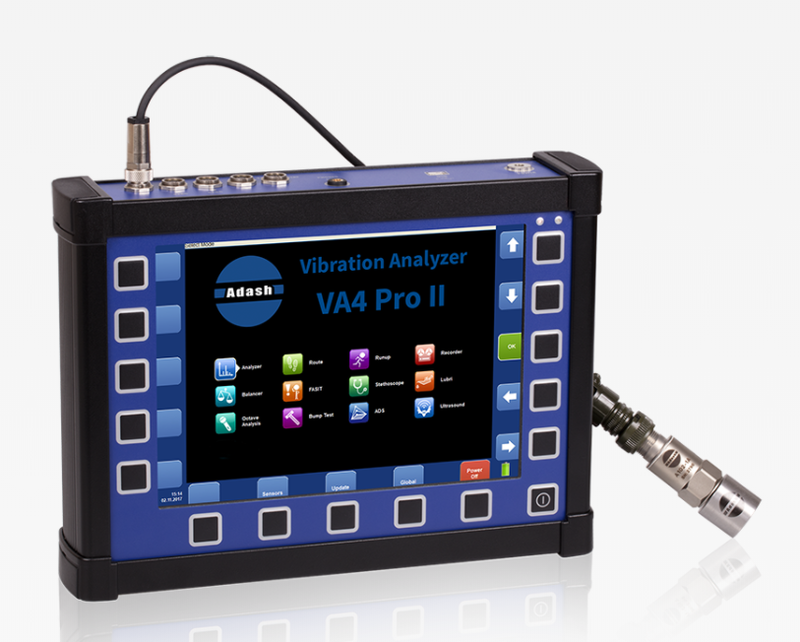 We start off the new year with the launch of the new Adash VA3Pro Vibration Analyser. Despite having 2 channels it can be configured to work as a 3 channels. It is available in 3 configurations depending on whether you want to use it as an analyser, data collector or balancer. The best part of the VA3Pro is its affordable price. Contact us today for a quotation. For more details please click here. 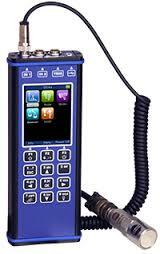 New section on rental of vibration instruments added. Click here for more info. A new video for Adash A4400 - VA4 Pro has been released. Click here to watch. 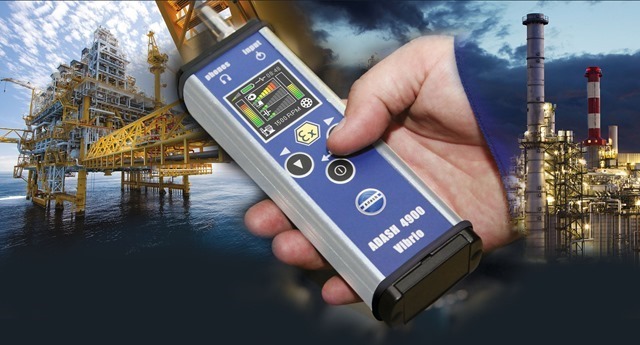 Click here for more information on the Adash A4400 - VA4 Pro vibration analyser. Just released - the new Adash A4900 - Vibrio M Ex instrument allows you to perform all basic vibro-diagnostics measurements such as bearing condition, lubrication assessment and identification of mechanical faults. Many measurement techniques are processed automatically. More information here. Introducing the ARVS series of Vibration Measurement Systems for use in test centres. The ARVS is available in a choice of configuration of 16-channel, 32-channel, 48-channel and 64-channel. 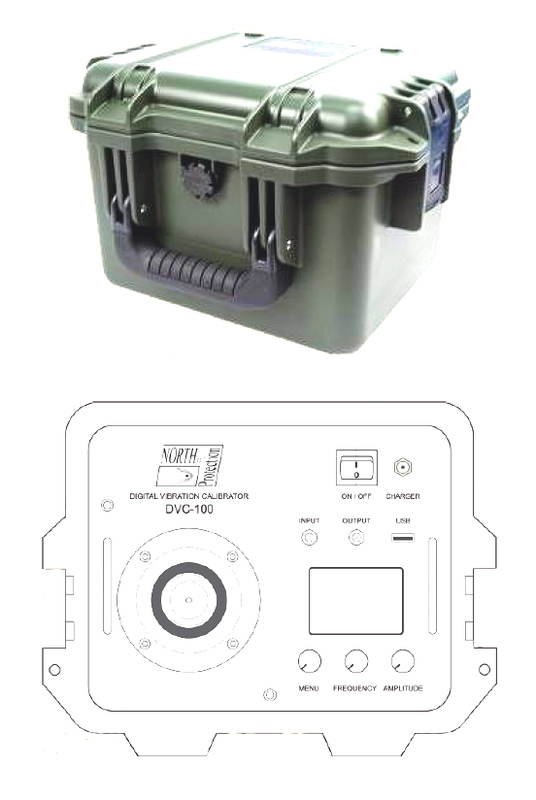 Introducing the DVC-100, a fully digital, battery powered, processor controlled, portable vibration calibrator for calibration of various types of vibration sensors such as accelerometers, velocity transducers, proximity probes (option), vibration switches, alarms level indicators, etc. This device is especially suitable for calibration of measurement lines in Condition Monitoring Systems (CMS). 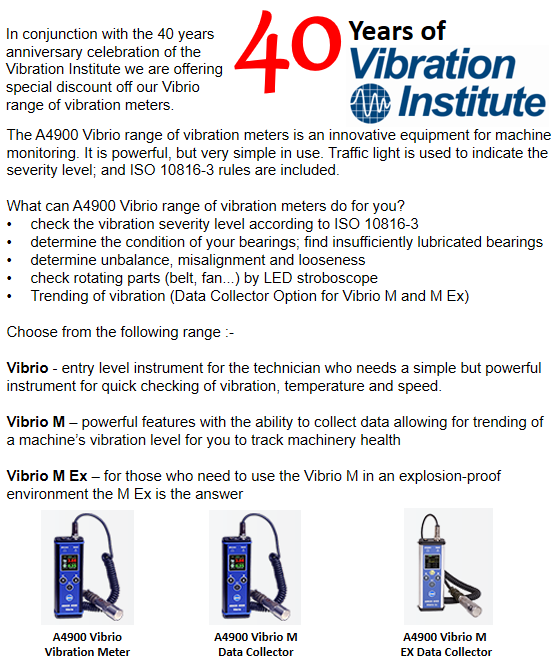 Vibration data collector unbeatable in price/performance ratio – A4900 VIBRIO M. In October we are continuing to promote the Adash Vibrio M 5-in-1 Vibration Meter, Tachometer, Temperature Measurement, Data Analyser & Data Collector. Contact us today for a quotation. If you are interested to try out the DDS2014 software you can download it here. This is an exe file which is hosted on our Dropbox so you can be assured that its malware-free and virus-free. Meggitt has launched the new VibraLink® switchboxes. These are built-to-order based on customer specifications. The enclosures have 55% more interior space than previous models for easy connectivity. New design and layout enables fast connection to portable data collectors. Differential switching of the signal and common allows increased noise immunity. 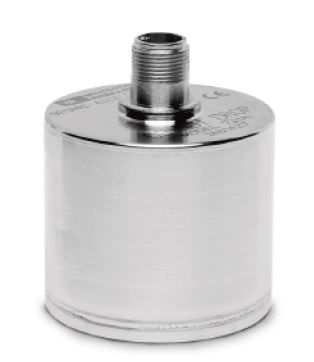 Models are available for compatability with standard IEPE, dual-output, and triaxial sensors. 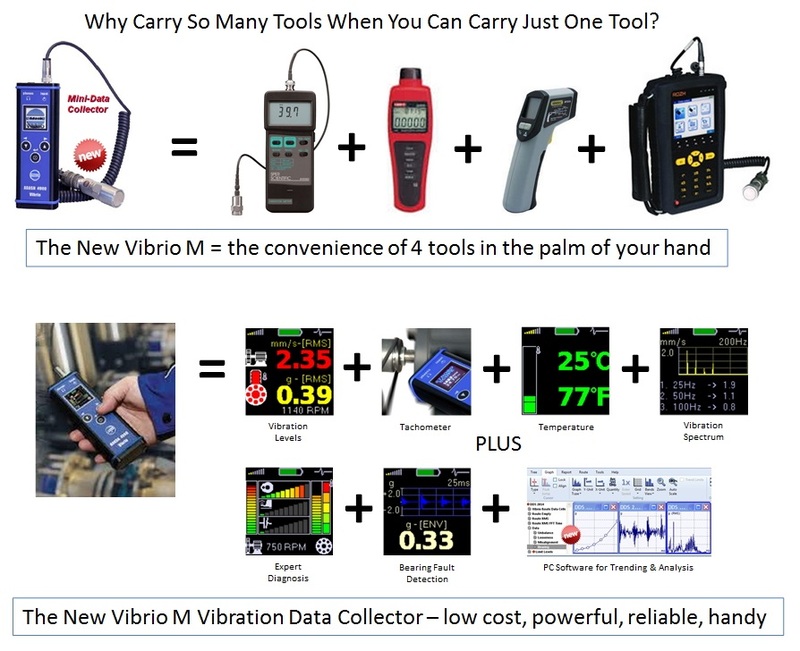 The new Vibrio M is the next step up in the evolution of vibration meters. Once you see, touch and use the full capabilities of Vibrio M we are sure you will agree that Vibrio M is THE vibration meter. Get yours today! Meggitt has released two new handheld thermometers for reading temperatures of hard to reach or moving machinery for a variety of industrial applications. The MAC050 and MAC100 add to the MachineryMate® line of tools used to assist in machinery health. Using laser sighting for accurate detection, the rugged thermometers can measure up to 1832° F (1000° C). Also capable of contact readings, the meters are supplied with K-type thermocouples for applications where emissivity is unknown. The high performance MAC100 is capable of Bluetooth connectivity for data streaming, analysis and trending, and has user selectable emissivity. MAC meters are an affordable and safe solution for obtaining temperature data. Machine equipment conditions can be quickly gauged, reducing unplanned downtime and increasing efficiency. Meggitt Sensing Systems offers a wide range of condition monitoring products including vibration sensors and meters, mounting accessories, cable assemblies and enclosures. To learn more, visit www.wilcoxon.com or e-mail MachineryMate@meggitt.com. Meggitt has just released a new low power, low voltage sensor under the Wilcoxon brand. 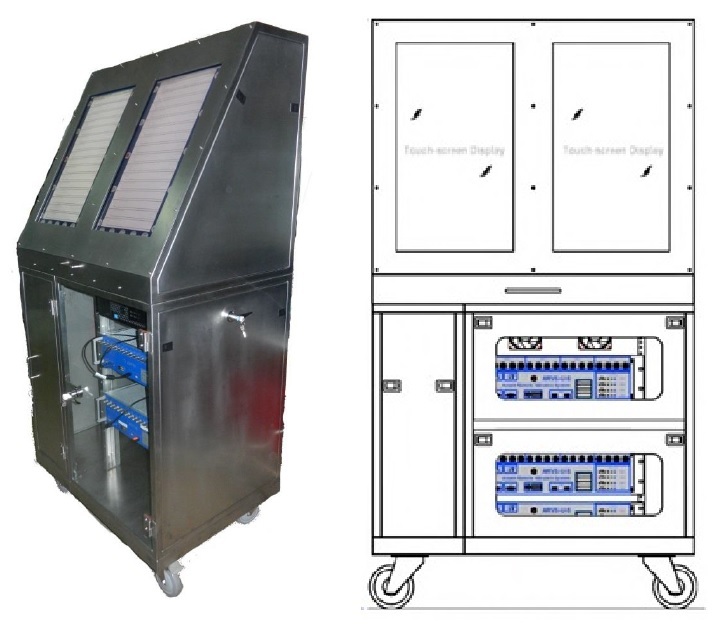 Using new technology and innovative designs, the LPA100T operates from low-voltage power over the 3 to 5 volt range and consumes less than 300 uWatts (at 3 volts). By comparison the traditional IEPE sensors typically operates at 48 mWatts. The new patent-pending circuitry of LPA100T allows for minimizing of sensor settling time to less than ten milliseconds while still preserving the low frequency response; comparing to traditional IEPE sensors which can require up to 3 seconds for measurement settlement time. To further enhance you measurement, the LPA100T also includes a built-in temperature sensor for monitoring at the mounting location. For more information check out here. Congratulations to our principal, DJB, for being featured in the May issue of Instrumentation. Meggitt has just released a new range of Wilcoxon Research® HT (high temperature) vibration sensors. The new Model HT786A, HT787A and HT780A provide reliable, continuous output for condition monitoring applications where temperatures reach 150° C. The high performance sensors are field-tested with mean time before failure (MTBF) of 25 years. Wilcoxon sensors provide continuous cost savings through affordability and reliability. Extreme temperatures can cause sensor degradation and corrosion, requiring frequent replacement or calibration. To offset the effect of high temperatures on internal electronics, the durable internal components are rated at 200° C for consistent bias output voltage levels over the entire temperature range. Rugged housings and hermetic sealing protects against ground loops and RF interference, promoting long-term stability. Small casings enable easy installation on paper dryers, rollers, pumps, steam generators, and other machinery operating in high temperatures. 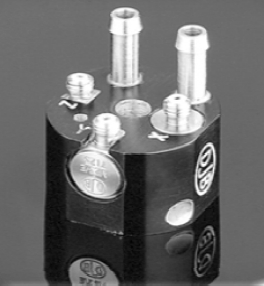 The HT sensors are available in ultra-compact housings, top-exit, and side-exit for flexible cable connectivity. The catalogs can be found on this page. In most plants it is a common practice to perform a commissioning acceptance test using vibration for new machines or on a machine that has been repaired / overhauled. However, did you know that the measured data is influenced by the type of instrument used especially its technical specifications? For example, if you use a vibration meter that runs on a 24-bit card the information that is gathered is much more than if you were to use a meter that runs on a 16-bit card. In this sense, a 24-bit vibration meter is more accurate than a 16-bit vibration meter. Similarly, if you want to have a more accurate picture of the level of vibration of your rotating machine you would be best served if you opt to use an instrument that gives you true values rather than derived values. For example, if you use a low level vibration meter that filters the data your machine may reflect a vibration level of say 6 mm/sec whereas if you use a 24-bit data collector with true values the value shown would be 2-3 times higher. The question that arises here is whether your interest is served when the 16-bit vibration meter is showing you a very nice vibration level that may not be an accurate representation of the true vibration level of the machine. But it makes it easy for you to accept the new machine / repaired machine. This is something for plant owners to think about especially if they are not so well versed in understanding the differences between various types of vibration measuring instruments and the impact it has on the resultant data, hence influencing the final decision to accept / reject a new machine or one that has just been repaired / overhauled. If you are a plant owner and you would like to know more about this topic please contact us by sending an email to adash2000-enquiry@yahoo.com under the header Importance of Vibration Data Accuracy. 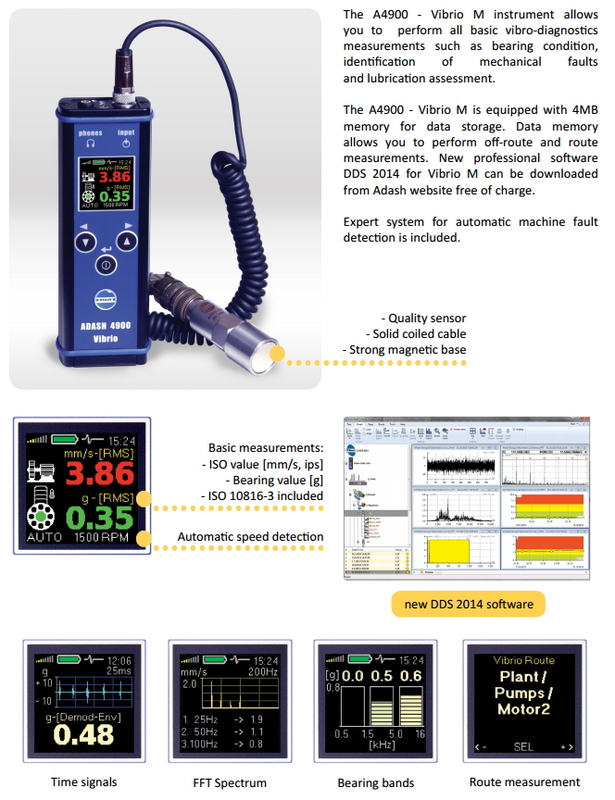 Introducing the new Vibrio M, the latest low cost data collector from Adash. Vibrio M comes with many powerful features for the plus you can now store data on it and download the data for analysis on a PC using the new DDS 2014 professional software. Please visit the Vibrio M page for more information. 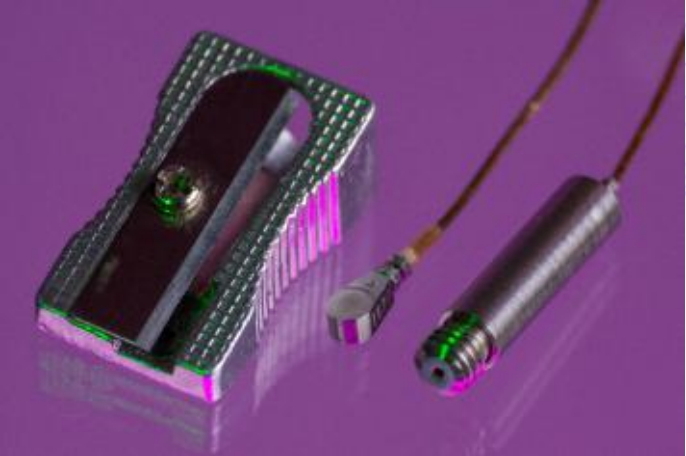 We are now offering the world's smallest and lightest integral electronics piezo-electric (IEPE) stainless steel accelerometer. At just 5.7mm long, 3.5mm wide and just 2.3mm high the A/128/V weighs in at a miniscule 0.19grams making it virtually invisible to the item under test in terms of mass loading. Utilising a mechanically pre-loaded shear plate sensing element due to its limited size, the A/128/V is relatively free from strain induced error and is available with a range of voltage output sensitivities including 1mV/g, 5mV/g and 10mV/g. Each accelerometer is supplied with a 0.5m or 1.0m integral softline cable with a microdot 10/32 UNF connector and a removal tool to ensure minimum damage due to shock impact when removing the adhesive mounted accelerometer. Based on the A/28 charge output accelerometer that has for many years led the field in ultra-miniature accelerometer design and performance, the A/128/V has already proven itself in a number of customer applications where delicate equipment required measurement. With an important added benefit of being repairable if the integral cable should be damaged this ensures maximum return on investment. The A/128/V is especially suitable for modal analysis of lightweight structures and vibration monitoring / analysis of PCB. Check out the datasheet here. DJB Introduces the unique A/133 IEPE Voltage Triaxial accelerometer which permits usage on surfaces up to 800 Celsius. 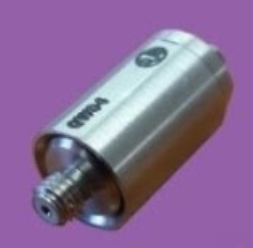 Ideally suited for Vibration Measurements on exhaust pipes or engine turbos. Mono versions can also be supplied on request. To maintain a low internal temperature a water flow is critical, water flow is provided via two titanium pipes and it’s recommended that the flow rate of the cooling is maintained permanently when in use at high temperature, use at the extremes of the operating temperature range may require the supply of a chilled water. Failure to do so could lead to injury and damage to the unit. Typical water flow of 0.5l/min is all that is required and this can be supplied using a simple automotive windscreen washer pump. Used extensively in the Automotive sector the A/133 and its charge alternative the A/33 have proven themselves at many of the worlds leading premier automotive manufacturers. 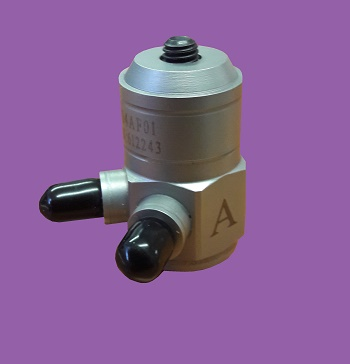 The A/133/V consists of 3 mono axial voltage accelerometers mounted into an anodised aluminium block. This method of construction allows the advantage of single axis repair if required, thus ensuring the maximum return on investment. To know more please download the datasheet here. We are proud to Introduce the new range of MachineryMate™ Handheld Vibration Meters from Wilcoxon Research (Meggitt). They are simple, easy- to-use vibration meters that can record, analyze and display vibration signals for quick and reliable machinery health monitoring. The data can be downloaded to a PC where the DataMate software can be used to trend and analyse it. Please click here for more details. Please contact us for purchase of the new MachineryMate range of vibration meters in Singapore, Malaysia and Indonesia.